My man Aquaman has the highest-grossing DC film of all time. Shazam! is not expected to top it, or even come close, to be honest. 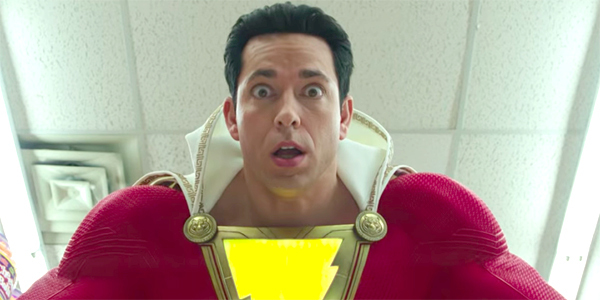 But Zachary Levi’s film is already defying expectations, with a preview screening pulling in bigger bucks than the DCEU’s reigning king — among other movies. Shazam! played in 1,200 Fandango preview screenings Saturday night, making $3.3 million. That topped Aquaman‘s Atom/Amazon preview take of $2.9 million, and also the previews for How to Train Your Dragon: The Hidden World ($2.6 million), Jumanji: Welcome to the Jungle ($1.8 million), and Hotel Transylvania ($1.3 million). Those figures are per Deadline, which noted that Shazam!‘s preview box office take was spread pretty evenly throughout North America. Of course, that doesn’t mean the movie will have a huge opening weekend at the domestic North American box office, or charm the international box office in the way that really boosted Aquaman over the top. But it’s a promising start for a movie that’s easy to root for. Aquaman actually had a relatively slow start at the domestic box office, with the lowest opening of the DCEU. But it definitely made up for it over time, especially with help from the foreign box office, and the movie currently has a worldwide gross of $1,146,648,294. That’s the best of the current DCEU, and also the best for any DC Comics movie. So right now many lucky critics and fans have already seen Shazam! but the rest of us will have to wait another couple of weeks. The movie officially opens in theaters on Friday, April 5. Shazam! will show up right after Dumbo, about a month after Captain Marvel, and only a few weeks before Marvel’s Avengers: Endgame. We are officially in the busy season, and it should continue through the summer. Keep up with everything headed to the big screen in 2019 with our handy movie schedule.